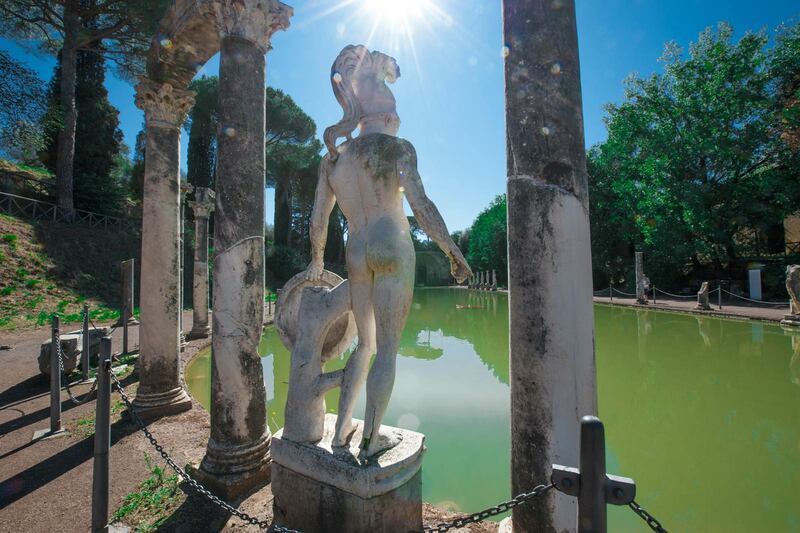 This enchanting day trip from Rome begins with a 40-minute bus ride to Hadrian’s Villa. The vastness of Hadrian’s estate is a sight that will surely impress. 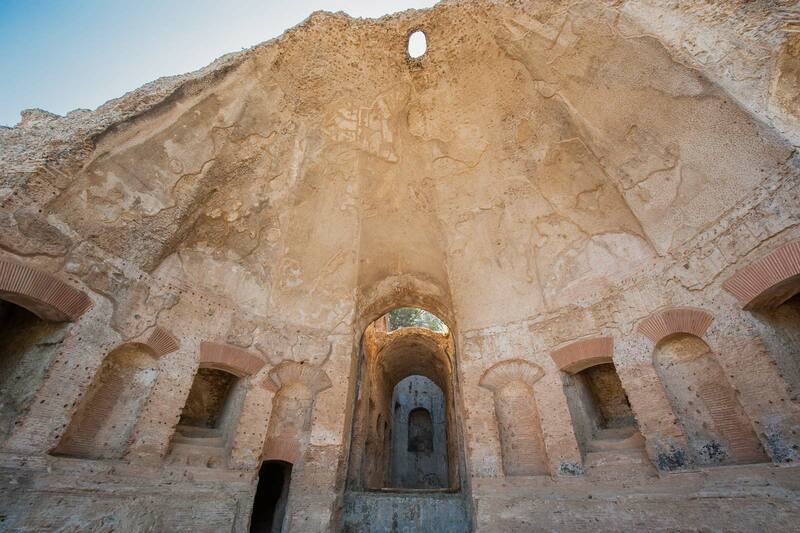 The Emperor chose to build his residence outside the city in a place rich in water, in order to build the famous Canopus, one of the most preserved sites left in the complex. The statues surrounding this pool of water create stunning reflections on its surface, beautifully surrounded by luscious green gardens. A short bus ride brings you to Tivoli town center – where you will have time to explore and enjoy lunch before the next walking tour. 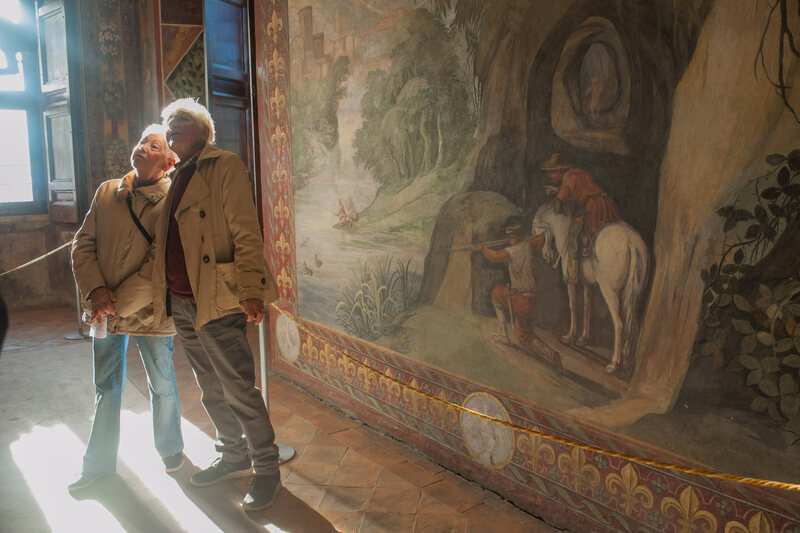 We will leave the alluring ruins of the 2nd century A.D. far behind as we travel on to the 14th century to our second destination, Villa d’Este - one of the most beautiful Renaissance villas in Italy. 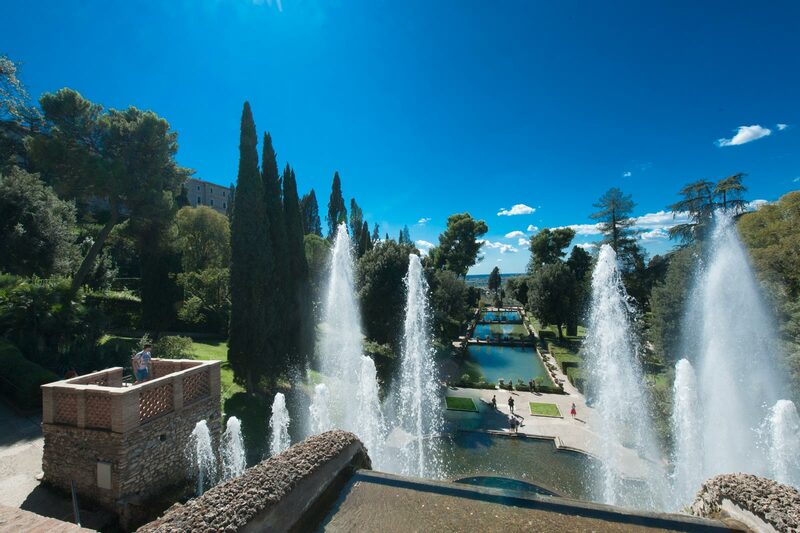 This splendid palace, with its extraordinary gardens filled with hundreds of fountains, will leave you feeling captivated. Bernini’s monumental Neptune’s Fountain is considered the most impressive, its water jets reaching a height of 10 meters. Not to say that the Central Fountain and the Oval Fountain won’t leave you equally in awe. 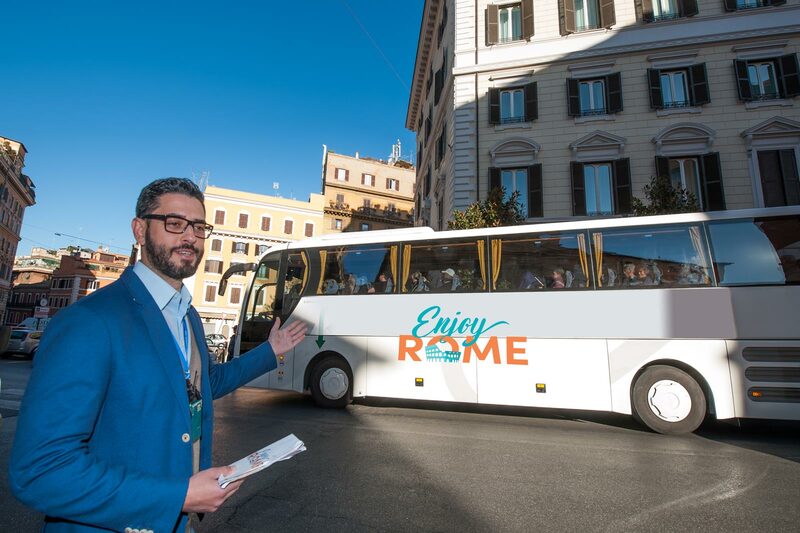 On the bus ride back to the city, you will have some time to glance at all of your photos, as you reflect on one of the most beautiful and memorable day trips from Rome. Your meeting point is at Via Cavour building 224 near the bus stop (take Metro CAVOUR stop on Line B). Please arrive 25 minutes before the start of your tour to check-in with a member of our staff. Same location as the meeting point - Via Cavour 224 at the bus stop. Our tour guide Giuseppe was excellent! Very knowledgeable about both villas and about the Tivoli area in general. His sense of humor was also welcome. Highly recommended! Giuseppe is the man! He really made the trip out to Tivoli amazing. The restaurant that he recommended was fantastic but a little pricey. Would totally go on this tour again and I recommend it to everyone to go! Such a fantastic day! Took this trip 2 weekends ago from Rome and just want to rate the tour and especially our tour guide Giuseppe with 5 Stars. He made the villas come alive with his knowledge and humour. Keep up the great work ?????????? We visited Tivoli on the 24 March 2018 . We had a great tour with a Fantastic Guide Giuseppe. Giuseppe explained in details the history of these magnificent gardens. 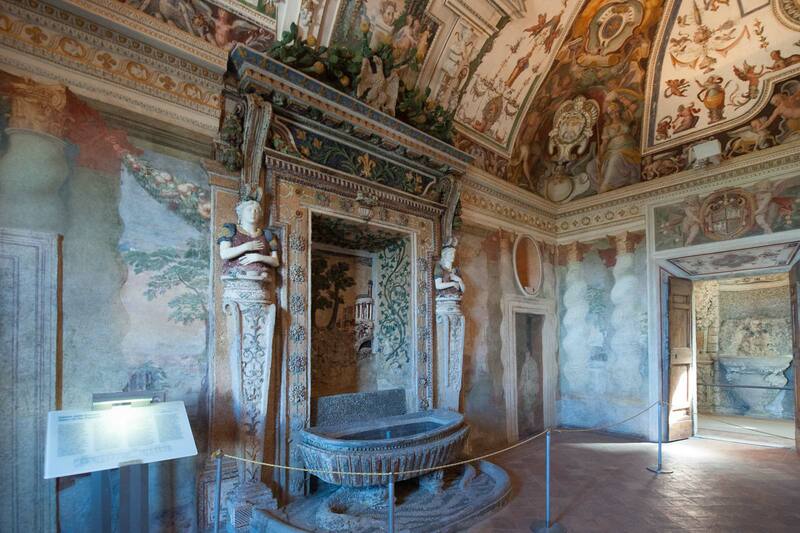 Hadrian's Villa and Villa d'Este .His insights and knowledge made this tour completely different from regular tour. We highly recommend this tour for everyone who want to learn and to enjoy these wonderful places. This was a 10 Star TOUR . We had a fantastic time on the trip to Tivoli. Both villas were absolutely fascinating and beautiful each in they'd different ways. Giuseppe made the tour even more enjoyable with his insight and knowledge that was pitched just at the right level. A must do trip if visiting Rome. A very interesting day trip, excellent value for money. The two villas were equally stunning, in different ways and our guide Giuseppe was excellent and made the trip even more enjoyable. With clear and precise information , telling us exactly what we needed to know and more. A must do if visiting Rome. Notre guide Giuseppe nous a fait découvrir ces deux splendeurs du passé avec calme et humour. Ancien enseignant, il allait directement au but sans flafla et encadrait bien le groupe mais sans contrainte. Just arrived back from our day excursion to two amazing villas. Our guide Alfredo made it more successful. His passion for the past and his desire to share it was fantastic. A very worthwhile trip. Great food for lunch at the restaurant recommended. It was a small enough group and everyone got on. This trip was well worth it. If you want to see more you need to spend the extra because we would never have got to experience this without doing the tour. Well done Alfredo and the tour company. Cheers from 2 very happy New Zealanders. These places are "must see" trip while visiting Rome. The Tivoli countryside was breathtaking as were the views from the gardens in Villa D'Este. 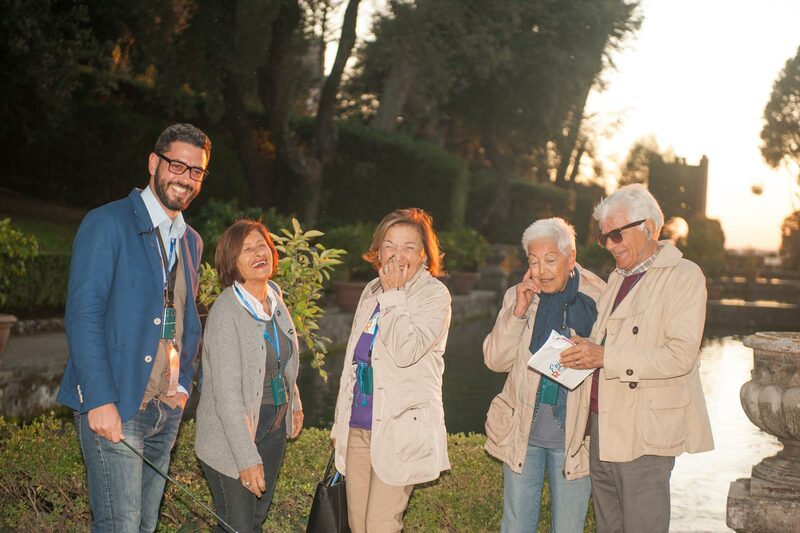 Our guide, Giuseppe, brought the history to life and his personality and humor made the experience more enjoyable. We would definitely go back to these places on a return visit. Guiseppe was a fantastic guide! 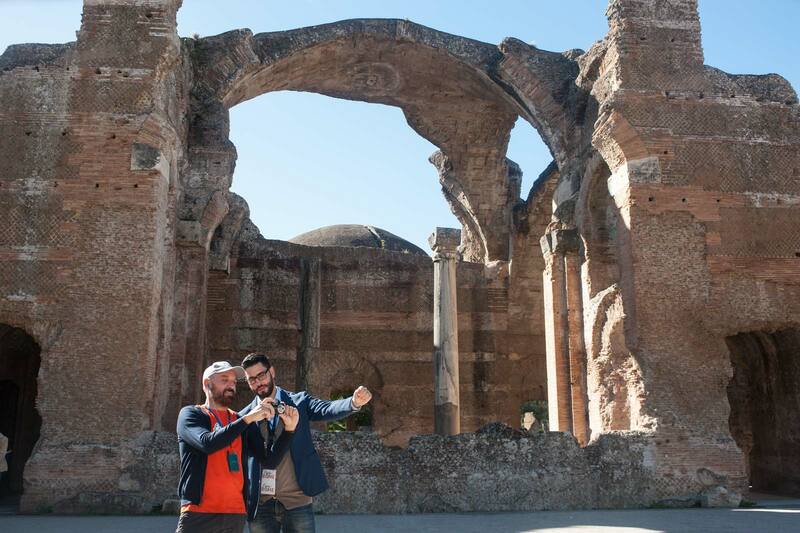 His insights and knowledge into the history of both Hadrian's Villa and Villa d'Este made the tour so much memorable. We highly recommend this tour! Very nice tour with a very competent guide Giuseppe. Everything went perfectly fine and in the end we had a beautiful day with the only downside of not having enough time to enjoy the places enough. 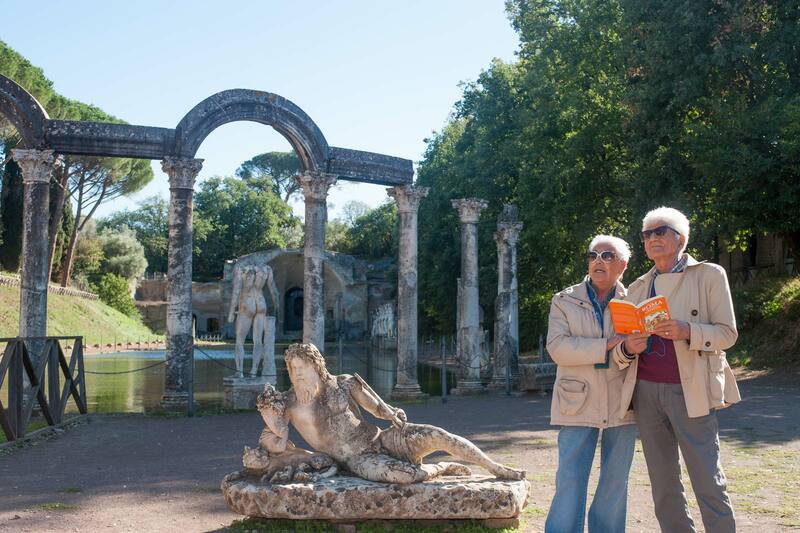 Recently went on the tour of Hadrian's Villa and Villa d'Este with Giuseppe as our guide. Notwithstanding the bus breaking down (a first according to Giuseppe) and having (decided by democratic vote) to walk the final couple of kilometres to Hadrian's Villa, this only added to the enjoyment of the day. Hadrian's Villa was interesting, if you like old Roman ruins, but you have to draw on your imagination to try and get a full picture of what this vast complex looked like in its heyday. Then on to Tivoli for lunch and a stroll around this pleasant town and later moving on to Villa d'Este. You don't have to use your imagination here as it is still laid out below you, in all its glory. Magnificent and really worth the visit. Overall a very enjoyable day, helped along by the knowledgeable and very friendly Giuseppe. Giuseppe was a fantastic guide full of relevant knowledge and good humour. 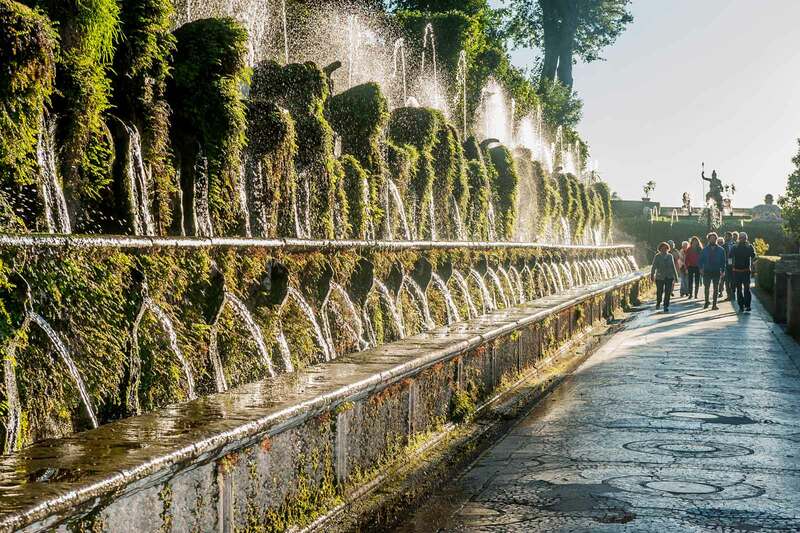 We had been travelling around Europe for 4 months and this tour is in our list of top 3 because of the spectular gardens and fountains in Villa D'Este and our wonderful guide. 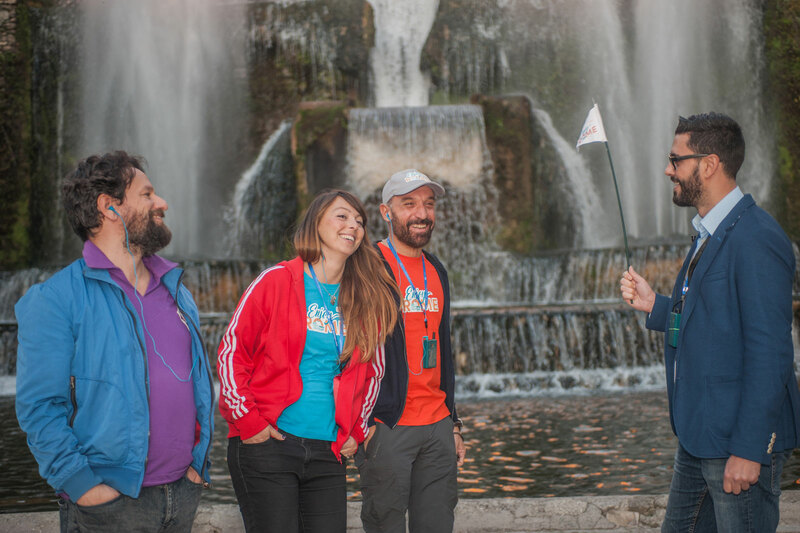 Our tour guide, Stefania, has a true passion for Roman history. She made our tour so exciting! We had our 7 year old grandson with us and she went our of her way to keep him engaged in the tour. I would highly recommend this tour to anyone, including families with children. Giuseppe was a marvelous guide with a wealth of knowledge regarding Roman history and funny as well. Really enjoyed the trip. Larissa was our guide and her knowledge end enthusiasm were excellent. 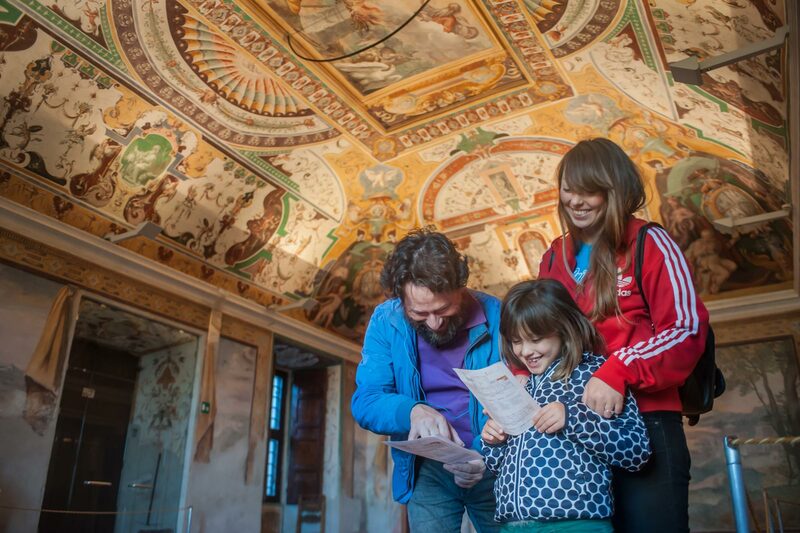 Five stars for Giuseppe who gave us an insightful as well as entertaining tour that the whole family enjoyed. Our thanks to Stefania for an excellent tour of the villas of Hadrian and d'Este. We came away with a better understanding of the history of the period of both villas. The historical links between the two was also very interesting. Both of them are beautiful sights and a great way to get away from Rome and the crowds to see the countryside. Very peaceful. Thank you. Many thanks for a most interesting day with our guide Giuseppe. His well informed commentary together with his sense of humor and pleasant personality made this a memorable day for myself and my wife. It was a privelege to see these famous ancient sites and hear their history. We are most appreciative. Had just taken Tivoli and Hadrian's Villa and Villa d'este. Had taken a similar tour 45 years ago and have always wanted to return, I wasnt disappointed. Our Giuide Alfredo did a fanatic job and very knowable about all the History of these Este's. We (4 of us) really enjoyed our day out to the country and getting away from Rome for the day. Great tour Alfredo was a great guide. Just came from Italy. Took the 7 hour day tour to Tivoli - Hadrian's Villa and Villa d'Este. Were very happy with this tour. And tour guide Larisa is very smart, intelligent. We have some much fun with tour and tour guide.. Thank you. Giuseppe was entertaining and extremely knowledgeable. Great guide! Amazing tour!! Stunning gardens...fabulous guide! Giuseppe was incredible. Gave us so much info and kept the tour interesting and fun!